Distinguished Past Pupils - Áine Mulvey, M. Mus. 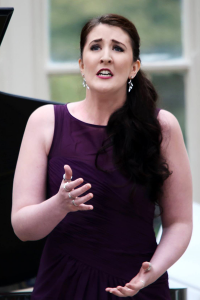 Gemma Ní Bhriain studied with Áine from 2000 to 2010, when she was accepted into the RIAM degree programme in Vocal Performance. She has since won multiple Feis Ceoil cups, including the 2014 Gervase Elwes memorial cup, and has recently been announced as the winner of the 2014 National Concert Hall “Bernadette Greevy” bursary. In 2013, Gemma won the “Best Irish Singer” and the “Most Promising Young Singer” in the Veronica Dunne International Singing Competition. She also participated in the International Hans Gabor Belvedere Singing Competition in Amsterdam, where she was awarded the Wil Keune Prize for a Young Singer of Real Potential. Having completed her Performance Degree with distinction and the highest marks ever awarded a performance student, Gemma is moving onto the Atelier Lyrique at the Opera Nationale de Paris, France. Katy Kelly studied with Áine from 1998 to 2005, going on to study at the DIT Conversatory of Music and Drama, where she completed a Masters in Music Performance. Katy has won prizes in Ireland and abroad, including the IAWS John McCormack bursary and the Tony Quigley bursary for her performance in the Dramatic Cup at the 2006 Feis Ceoil. 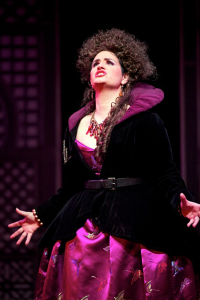 She was a regional finalist at the Met Opera’s National Council Awards (USA), and has been a regular performer with the National Symphony Orchestra of Ireland both on the concert platform and in their television series “Symphony Sessions – the Sopranos”. Katy is now based in the UK, where she performs regularly with touring opera companies and as a soloist on the concert platform.